Triangulum’s third newsletter is online. Read the newsletter here. Can you make Eindhoven City smarter? Submit your proposal! Adjusting the colour and intensity of the public lighting by using a Smartphone, bicycle paths light up as cyclists approach, cameras detect accidents and contact both the authorities and the nearest citizen with a first aid degree… Do you know how a city with ‘brains’ looks like? We are looking for the best ideas and offer innovative entrepreneurs and start-ups funding for the development of smart services and products. Together with the municipality of Eindhoven, TU/e and VolkerWessels we are launching the iCity Tender. A tender for smart city development with living lab Strijp-S as launching market. For more information click here. 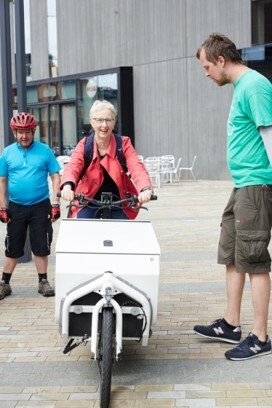 On 15th June, Manchester Metropolitan University officially launched the introduction of electric cargo bikes – an important element of the mobility measures foreseen within the Triangulum activities in Manchester. The launch formed part of an annual cycling event held during the UK’s national bike week. The event was dedicated to staff and partners of “Corridor Manchester” – the focus area of activity of Triangulum in Manchester. The Corridor is a 2 km long spine that contains two of the UK’s largest universities and one of the largest medical research campuses in Western Europe. The bikes are being provided by Cycle Waggle for use across the Departments of Manchester Metropolitan University and the University of Manchester. The aim is to reduce the number of small scale deliveries being made across the estate with traditional diesel vehicles. Each of the bikes is fitted with GPS tracking so that all journeys can be tracked and monitored. 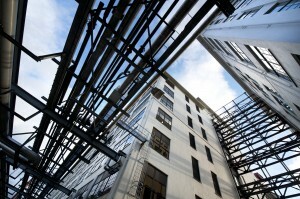 The reduction in carbon emissions will be measured over the life time of the project. 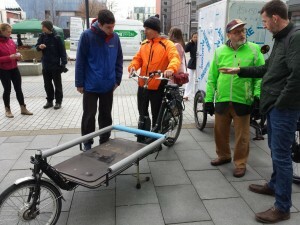 The event gave staff at both Universities an opportunity to try out the different types of cargo bikes available and sign up to use them within their Departments. Triangulum’s second newsletter is online. Read the newsletter here. In the last months, the city of Sabadell, together with its linked third parties VIMUSA, IAS and Promoció Econòmica de Sabadell, has worked intensively in the city analysis prior to Triangulum’s on-site assessment held from 29th February to 9th March 2016. Not only has data with more than 100 indicators and action fields been collected, but also nearly 30 organisations have been involved – other public administrations, non-profit foundations, research centres and private companies – and 12 municipal departments. These entities and departments have participated during the on-site assessment conducted by Fraunhofer, most of them in the interviews as well as in the final innovation workshop held on 9th March in the “Fira Sabadell” exhibition centre. After this analytic process a much clearer picture of the strengths, weaknesses and the potential of Sabadell has been obtained, and an interesting local innovation ecosystem has been developed. As a result of the on-site assessment, around 20 potential new projects have been proposed, in the fields of urban mobility, ICT, energy, citizen participation or innovative economy, and 14 of them were discussed in the final workshop identifying goals, components, stakeholders and supportive factors for each of them. The challenge for the months ahead is to maintain the innovation ecosystem that has been created and to start the technical elaboration of the projects to be included in the Triangulum implementation plan in Sabadell. 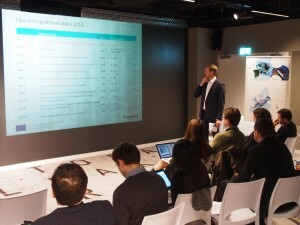 The on-site assessment concludes the analytic work initiated by the municipality with internal discussions under three sectoral roundtables – mobility, energy, ICT – to identify the priorities and action lines, and evaluate the transferability of the Triangulum projects developed in Manchester, Eindhoven and Stavanger. In order to facilitate the assessment of the transferability, technical officers from the municipality of Sabadell and VIMUSA have participated in the on-site assessments of Eindhoven, Stavanger and Manchester which have taken place between October 2015 and January 2016. Results of the Triangulum on-site assessment in Leipzig were presented at the second Leipzig West Zukunftslabor- meeting held on the 23th of February. A broad range of experts and citizens were invited to discuss and share their visions for the district Leipzig West on a variety of topics relevant for the future development. Addressed were issues like sharing concepts, smart mobility, big data, decentralized rainwater management, affordable housing and micro logistics. The Zukunftslabor together with the Zukunftsforum form the shareholding structure of the City of Leipzig’s first Smart City Implementation Plan. The on-site assessment in the Lighthouse City of Manchester took place from the 11th to the 22nd January 2016. This assessment was led by researchers from the Institute of Human Factors and Technology Management (IAT) at the University of Stuttgart in coordination with the Institute for lndustrial Engineering (IAO) and the Institute for Open Communica tion Systems (FOKUS) at the Fraunhofer Gesellschaft, and TÜV Süd. The corridor of Manchester is the focus area for the Triangulum project. The 243 hectare area was created in 2002 as a consequence of the Commonwealth games in 2002 and is characterised by strong partnerships. lt is a unique business location that hosts two of UK’s most important universities: The University of Manchester and the Manchester Metropolitan University as well as the Central Manchester University Hospitals NHS Foundation Trust. With the objective of understanding how local actors work together to implement smart technology solutions, 23 interview sessions with 31 interviewees fro m the mentioned institutions, the City Hall as weil as private sector project partners such as Clicks&links and Siemens were carried out. The follower cities of Prague and Sabadell partially joined the assessment. The collected information is being processed in the form of a report and will be used to design Investment schemes for Future replication. From the 30th November until 9th December 2016, the second Triangulum on-site assessment took place in the Lighthouse City of Stavanger. Within the context of the EU-funded smart cities and communities project, Stavanger is striving to maximise the benefits of its Triangulum smart city implementation plan for citizens and local businesses, as well as to achieve a long-term resilience of the local economy. 16 expert interviews were conducted with 25 project partners as well as local politicians including Mayor Christine Sagen Helgø. 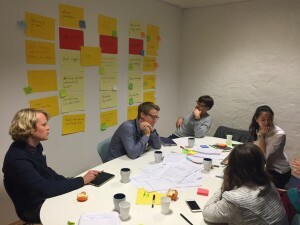 The interdisciplinary assessment team led by the Fraunhofer Society and TÜV Süd focused on understanding the smart city solutions which are being implemented in Stavanger, such as the e-bus demonstration project, the central heating of public buildings, the data hub and smart home solutions. Furthermore, the local context, which enables such developments to be successful, was evaluated. 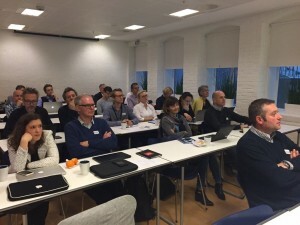 Through the great support of the city management team and all local partners, the knowledge about Triangulum activities in Stavanger was greatly enhanced. Moreover, all three follower cities were present and had the opportunity to have first insights and discussions with some key actors of the city. The findings of this on-site assessment will be documented in a report and used in the development of a smart city replication framework, which will facilitate the replication of these smart city solutions in other cities and regions. From the 30th of November until the 9th of December 2016, the second Triangulum on-site assessment took place in the Lighthouse City of Stavanger in Norway. Within the context of the EU funded smart cities and communities project, Stavanger is striving to maximize the benefits of its Triangulum smart city implementation plan for citizens and local businesses, as well as to achieve a long-term resilience of the local economy. 16 expert interviews were conducted with 25 project partners as well as local politicians including Mayor Christine Sagen Helgø. 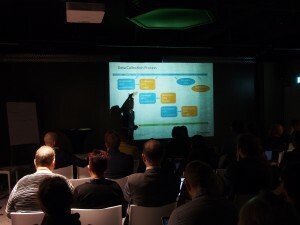 The interdisciplinary assessment team led by the Fraunhofer Society and TÜV Süd focused on understanding the smart city solutions which are being implemented in the Stavanger such as the e-bus demonstration project, the central heating of public buildings, the data hub and smart home solutions. 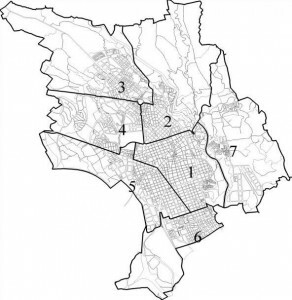 Furthermore, the local context, which enables such developments to be successful, was evaluated. At the end of the assessment days a workshop was held with important stakeholders where benefits and beneficiaries of the smart city solutions were identified and important issues for the future development were discussed. Through the great support of the city management team and all local partners the knowledge on the Triangulum activities in Stavanger was greatly enhanced. Moreover, all three follower cities were present and had the opportunity to have first insights and discussions with some key actors of the city. The findings of this on-site assessment will be put down into a report and be used in the development of a smart city replication framework, which will facilitate the replication of these smart city solutions in other cities and regions. From 24-25 November 2015 all Triangulum partners met in the Spy museum in Berlin for the General Assembly Meeting. Besides the progress presentations, central Triangulum topics like the development of the “smart city replication framework” and the “ICT reference architecture” were discussed in workshops.